PROBABLY THE BEST ALL ROUNDER IS ITS CLASS. BEAUTIFULLY FINISHED, THE A4 OFFERS UNRIVALLED INTERIOR SPACE, SUPERB COMFORT, IMPECCABLE DRIVING DYNAMICS AND EXCELLENT REFINEMENT. THIS 3 OWNER AVANT WE HAVE ON SALE IS IN IMMACULATE CONDITION INSIDE AND OUT AND HAS BEEN WELL MAINTAINED WITH FULL SERVICE HISTORY CONSISTING OF 5 SERVICE STAMPS THE LAST SERVICE WAS AT 61850 MILES ON THE 29/11/2017. 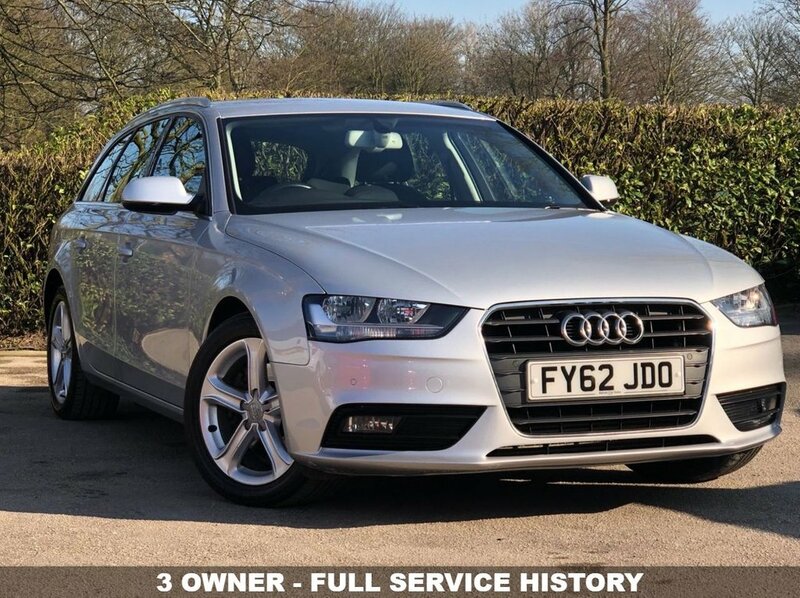 GENEROUSLY EQUIPPED THIS CAR HAS ALL THE CREATURE COMFORTS YOU WOULD EXPECT OF A PREMIUM BRAND SUCH AS CRUISE CONTROL, FRONT AND REAR PARKING SENSORS AND DUAL ZONE CLIMATE CONTROL. IT ALSO HAS AUDI'S MULTI MEDIA INTERFACE INCORPORATING THE SAT NAV, BLUETOOTH TELEPHONE, RADIO/CD AND MEDIA. THE SUPERB 2 LITRE ENGINE IS FITTED WITH STOP/START TECHNOLOGY, WHICH HELP REDUCE EMISSIONS AND IMPROVE MPG ACHIEVING AN IMPRESSIVE 62 MPG, IS COUPLED TO THE AUTOMATIC GEARBOX WHICH IS SMOOTH AND SEAMLESS GIVING A REALLY EFFORTLESS RIDE. THIS CAR WILL COME WITH A FULL MOT + SERVICE + WARRANTY + 1 YEAR AA ASSIST.